Bud Light wants to sell you beer—and your gender identity doesn't change that. In the Anheuser-Busch brand's latest 30-second spot, Amy Schumer and Seth Rogen argue that anyone across the gender identity spectrum can drink Bud Light. With the new work, Bud Light joins brands including Nike and Mini in furthering a discussion on gender identity through advertising. "From the start of our campaign at Super Bowl, the Bud Light Party has rallied around bringing people together," said Alex Lambrecht, vice president of Bud Light. 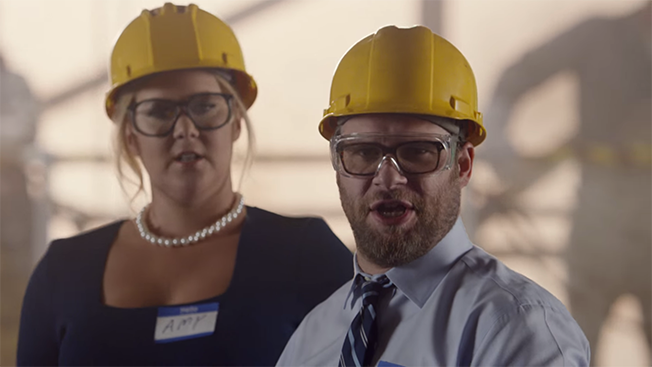 "In our newest spot, Seth and Amy remind Americans that labels belong on beer, not people—a message Bud Light proudly supports." The latest ad is part of Bud Light's ongoing campaign from Wieden + Kennedy, which uses the fictional "Bud Light Party" to satirize the election. Other recent ads from the brand have also tackled issues such as gay marriage and equal pay.